In an episode of Family Guy, titled Tea Peter (airdate: 6/13/12), Peter and his friends become enraged at the government. Their diatribe leads to this cutaway gag:PETER: Yeah, those bastards have ruined everything. The same way the Village People ruined any gathering of a cop, an Indian chief, and a construction worker. BYSTANDER: Oh, my God! Can we get a picture with you guys? COP: We're not those guys. CHIEF: Yes, please leave us alone. We're very busy. WORKER: Now where were we? Oh, yeah. 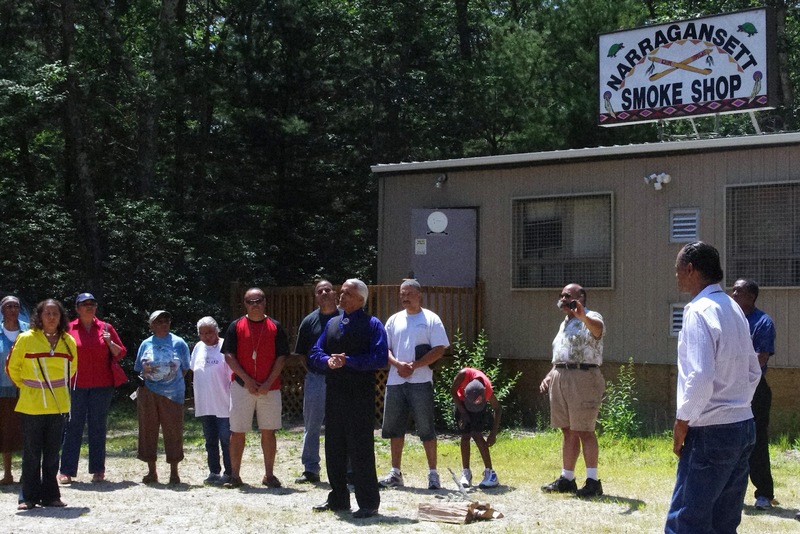 We've got to solve that security problem for the Indian casino we're constructing. Again, a TV show presents a mixed message. 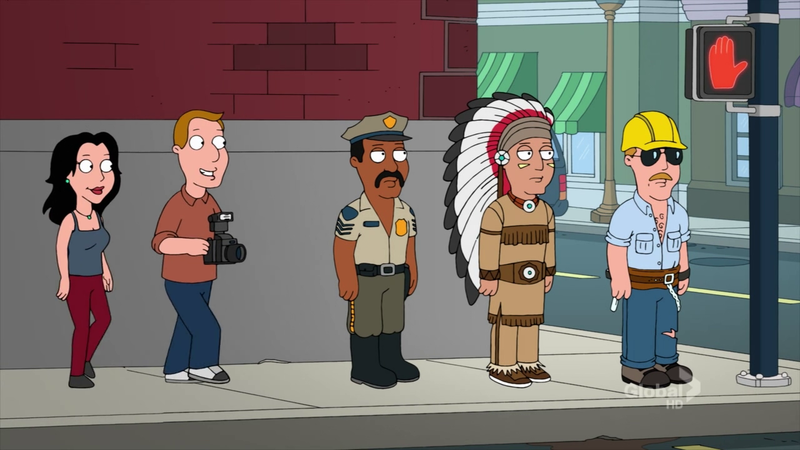 On the one hand, the gag undercuts the idea that a real Indian is a member of the Village People playing dress-up. On the other hand, it implies this is what a real Indian looks like. A Plains chief...standing in regalia for no reason...in Rhode Island. A Narragansett chief might wear a Plains headdress on a special occasion--because many tribes have (mis)appropriated the Plains iconography. But a headdress plus buckskins? No. That's pure stereotyping.